NO MORE CHUNKY GAMEBOARD BOXES! HANG BOARD GAMES ON THE PLAY - ProudMummy.com the Web's Community for Mums. NO MORE CHUNKY GAMEBOARD BOXES! 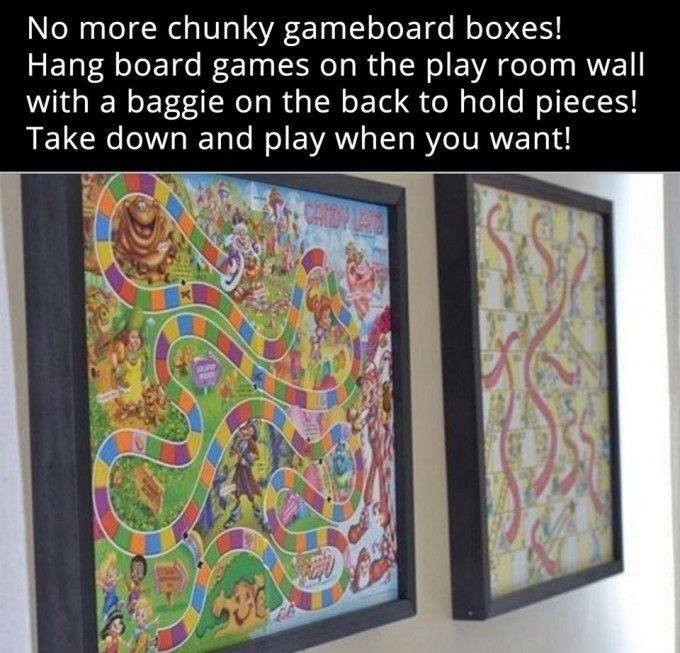 HANG BOARD GAMES ON THE PLAY ROOM WALL WITH A BAGGIE ON THE BACK TO HOLD PIECES! TAKE DOWN AND PLAY WHEN YOU WANT!